Posted on September 23, 2015 at 5:36 pm. Fall. 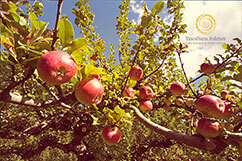 Golden light, bountiful harvest, apples squashed for juice and sauce. Chanterelles pop up, leaves fall down. Decomposition, renunciation, letting go. Remembering – Gurudev Sivananda’s birthday, Swami Radha’s mantra pronouncement. And the ripening now of new initiates falling into the net of divine love. Deepening what we know, the lineage lives on. Creativity flows through initiatives like Yasodhara 108, through writers writing, artists drawing and the Temple of Light leaping toward firmer plans, embracing the beauty in all spiritual paths. Opening to what needs to be created, Saraswati flows on. Everyone was asked to reflect on the questions, “What is important in your life? What do you want to initiate?” Coming together brought a wonderful sense of community and dedication. This video features historical footage of Gurudev Sivananda and Swami Radha from 1956. 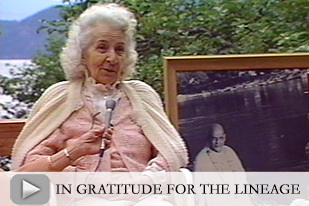 Swami Radha speaks of her relationship with Gurudev, who she calls a “man of great character.” And Swami Radhananda reflects with gratitude on what we have received from Swami Radha. Last year we changed the lives of over 100 young adults through the Young Adult Program, sponsored in part by Yasodhara 108. We are committed to inviting young people to the Ashram for programs and courses and whenever necessary, supporting them through bursaries and stipends. Some young adults come to the Ashram for a few days; others stay for the entire month; and many stay much longer. Our goal is to raise $30,000 in just four weeks to cover a portion of the costs of the Young Adult Program. What is your 108? Would you be willing to choose an activity to help raise money for young adults? Or if participating in the Yasodhara 108 isn’t right for you this year, an option is to make a general donation to the fundraiser, or find someone’s Y108 that you’d like to support. 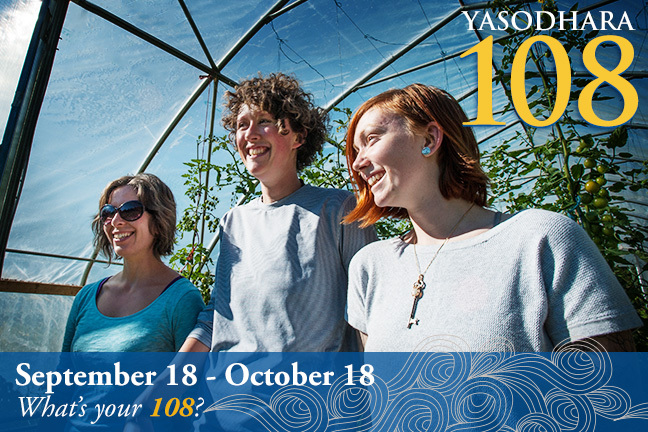 Yasodhara 108 will be running from September 18 to October 18, 2015. Visit www.yasodhara108.org to sign up or for more information. Find the timing and the workshop just for you! See our 2015 Calendar for more options. 10 Days of Yoga: A Journey of Self-Discovery and Renewal: Give yourself ten days to expand your understanding of who you are and who you want to be – ten days of reprieve from stress in a safe and nurturing place of reflection. You will leave with tools to create more meaning, joy and relaxation in your life and with more trust in your ability to live a balanced life. Yoga & Healing Retreat: Yoga offers many spiritual gifts to access health and wholeness. In the healing process you have the space to reflect on your life. The retreat is for those seeking physical, mental or spiritual healing. 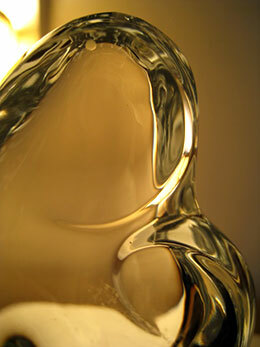 Spacious and nurturing, this is a time to go inward, accessing your compassion and inner Light. One-Month Karma Yoga (30+) and Young Adult (18-30) Program: These one-month Service & Study Programs are for those who are interested in experiencing life in a spiritual community, developing skills and studying yoga. They are live-and-work programs, with a focus on the practice of Karma Yoga or selfless service. The Yoga Development Course: The YDC is an intensive three-month program designed to give students an in-depth introduction to the major branches of yoga and a foundation in personal and spiritual development. The course is of lasting value to all those who wish to establish and deepen their yoga practice and make permanent changes in their approach to life. We bring the Ashram to you! Calgary and Edmonton Yasodhara Yoga groups are hosting Ashram workshops in late September/early October. This fall Swami Samayananda and Swami Matananda take the teachings to Eastern Canada, starting with a Life Seals weekend retreat and followed by workshops in Toronto, Halifax, Ottawa & Chelsea and Montreal. Register now and tell a friend. The Ashram has changed, we’ve opened up. You can think about the Temple as a force that brought us to this place – a place in time where we have more people coming, staying for longer – professionals, young people, elders who all have so much to give. More people want to be part of the Light. The Temple helped us to open to that. We don’t really know what will change once this Temple is built, and that’s the exciting part! We have such a great group of architects and builders. We are inviting in new ideas to go beyond what we could have done ourselves. And now we have to do our part and open the way for it to happen. The practice is to keep opening. This new Temple will last for years until it has completed its purpose, at which point we might need something different again, or there may be different ways to fulfill that purpose. Everything is destroyed or dies – that’s part of being on Earth. We can’t hold onto anything. I can see that from letting go of being the president and also from getting older. We just have to keep living our lives, no matter what comes. And in that living, we learn, and give, and think more deeply about what we really want. The Temple is giving us a way to think differently. What will the new Temple bring? Can we be open to it? We are taking a leap from where we were to where we are going. The Ashram will keep moving forward, and so can each one of us. We have to give, take responsibility, keep on making the connection. Make a promise, live the practice. And there is so much to be found when we do that. 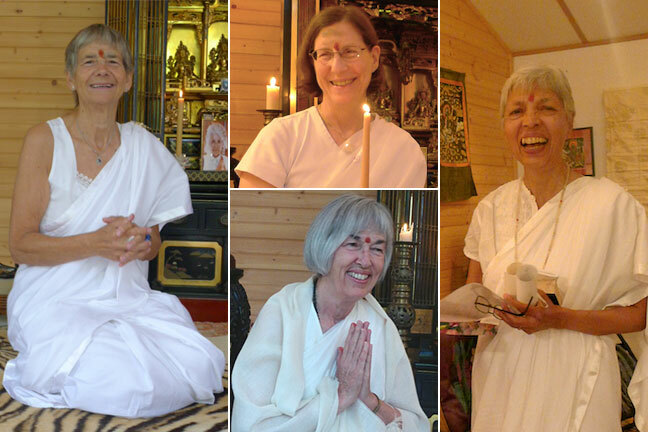 Recently Swami Radhananda initiated four long-time yoginis into brahmacharya. They reflect on what this initiation and their new names mean to them. Online Auction raises $8,200 for the Temple! 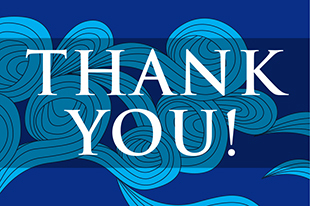 Thanks to the generosity of our community of artists, friends and donors, our Online Silent Art Auction raised more than $8,200 for rebuilding the Temple of Light. We appreciate the support of the 18 artisans who donated pieces of beauty, the more than 60 bidders who vied for top spots and Kootenay Lake Art Connections for including us in the artwalk. Vancouverite Kate Armstrong – one of the highest bidders at $1250 – looks forward to hanging Kootenay Lake Sky in her brand new home. 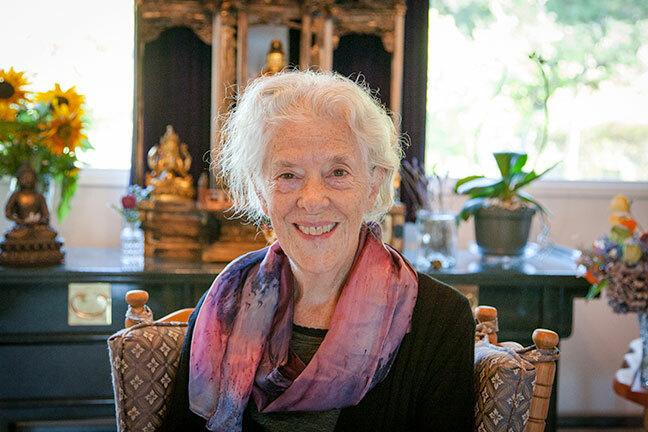 Physician Christine Gibson’s experience in the Nepal earthquakes was the impetus for coming to the Ashram and renewing her commitment to writing in a fruitful artist retreat. Experiencing the earthquakes and observing the tragedy was really shattering for me. After returning to Canada I needed to get grounded again. When a friend told me about the Ashram, I was immediately drawn to the idea. I always feel calm and at peace surrounded by mountains or water and the Ashram has both. I was looking for an energy that is different from my city life – running a non-profit, working as a doctor, living in a busy community – which are not conducive to the solitude it takes for real reflection. A large part of what I gained at the Ashram was a connection to creativity, especially through the Hidden Language Hatha Yoga practice. I had been trying to write a book for ten years – stories my grandmother told me about our ancestors. I wanted to see this through to completion, whether as a publication or just for a sense of accomplishment. Through my Hidden Language practice I was able to use the learning that happened during the earthquake to coalesce new ideas which I hadn’t learned how to express yet. I’ve never written so much in my life! All I had to do was find a way to open the tap and it just poured out. Molly Askey-Goldsbury came from England as an intern in the spring of 2014. 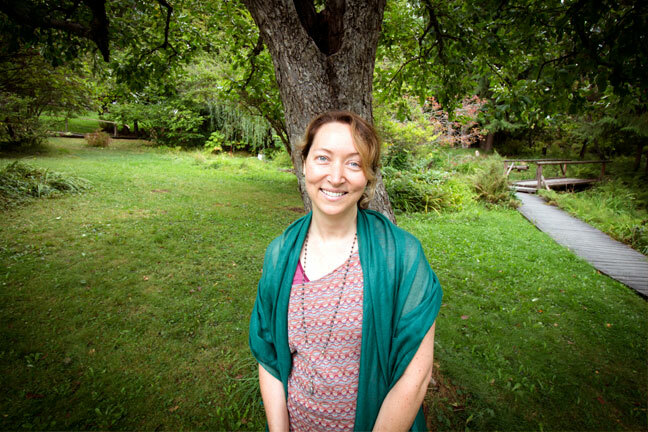 Now leading the Ashram garden and with plans to participate in the 2016 Yoga Development Course, she has also brought forward her talent as an illustrator. From her arrival Molly strongly connected to the Divine Light Invocation and began exploring the idea of illustrating it. This year she completed her booklet. She wanted the illustrations to tell their own story and used the Divine Light Invocation practice to open to her intuition while drawing. Her style is to create large images then condense them so they appear in finer detail, which echoes the Invocation that draws on the vastness of Divine Light through simple words of deceptive complexity. 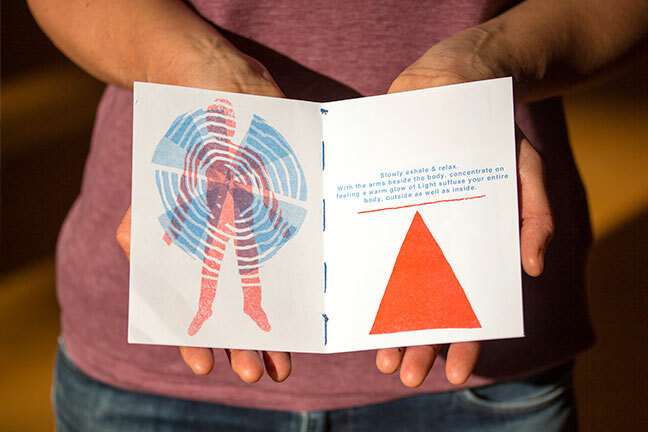 Molly designed the booklet, had it riso-printed (which allows subtle silk-screen-like shadings), then sewed the binding, conveying the precious feeling of a hand-made personal gift. 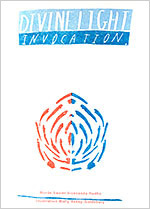 This new version of the Divine Light Invocation is small, light and easy to carry – a perfect gift. A double-gift since Molly is donating all proceeds to the Temple Rebuild fund. Order online for yourself, friends, students, colleagues. $10 each with an option to add a further Temple donation! 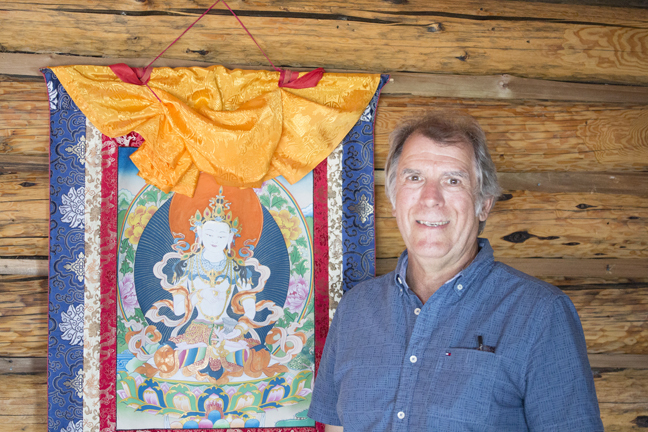 Grant Pastuck is a long-time Buddhist practitioner who came to Yasodhara Ashram at the invitation of a friend. He marvels at what he experienced when he stepped into Karma Yoga and the Light & Vibration course. This is the best retreat centre I’ve been to. The sacred is everywhere. There are all the icons and the gardens as reminders of the spiritual path, and then there is nature itself. In Buddhism we have the Buddha, dharma and sangha. The sangha is what I felt here. People care about each other and support each other’s work. They are earnest practitioners. The heart opening here is remarkable. I just jumped in. I had heart experiences that were blowing me away. It was nice to get that out. Another thing I gained here was the Divine Light practice – spectacular. It’s one of the most profound practices I’ve received. It seems so simple, but it incorporates a lot and is very Buddhist. My experience of Hidden Language Hatha Yoga was like “speed insight” and I learned about the power of vibration by chanting mantra. In Buddhism we have more emphasis on meditation. I hope to bring a Buddhist group to the Ashram. The space is so conducive to practice of any kind. InSpirit Festival – Yasodhara Ashram in partnership with the Shatford Centre is hosting the InSpirit Festival, October 23-25 in Penticton. InSpirit is a weekend of art workshops that will demonstrate how art-making leads to insight and inspiration. Workshops will be offered by Okanagan Yasodhara Yoga teachers; Rebecca Dale will offer sacred dance. Swami Jyotihananda will provide opening remarks during Saturday’s “Global Fusion” – an evening featuring multicultural entertainment and cuisine. See more on the festival website. 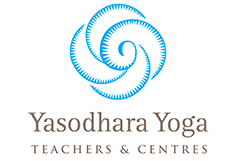 Proceeds from Yasodhara Yoga workshops will go towards the new Temple of Light. Kootenay Spirit Festival – We happily took part in this Nelson celebration of yoga, dance, meditation and music on September 19 by offering Hidden Language of Hatha Yoga and Divine Light Invocation workshops. We welcome such opportunities to expand our community connections! Interfaith Climate Action – West Kootenay EcoSociety is coordinating a seven-week study of the Pope’s recent encyclical on climate action – and we are taking part with other Nelson faith groups. “What can happen if all of us, no matter what our spiritual tradition, speak with one voice and act together on the unifying principle of concern for the Earth and future generations? Let’s try,” said Swami Lalitananda in a news release about the event which starts September 25. Swami Radha reads Cosmic Dance from her book of poems, When You First Called Me Radha. Listen to the audio. Life is filled with movement, rhythm, flow. Use the following reflections to deepen your understanding of this significant fact. 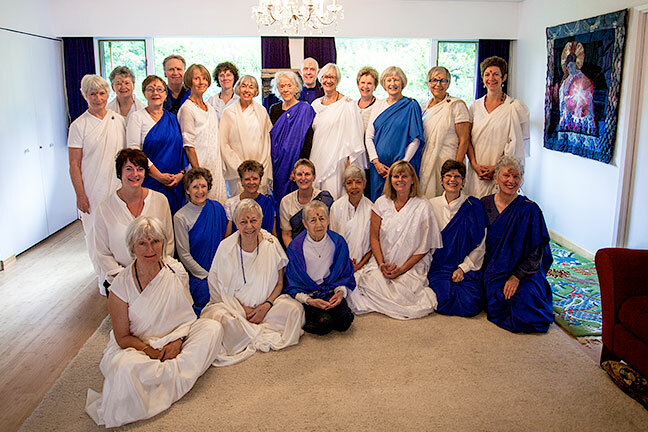 Thank you to the 2015 Kundalini and Dream Teacher Certification group for creating this month’s teaching theme. “Spiritual practice allows us access to our own minds. Observation and reflection become essential. There are always ups and downs in us, in others, in life because life is like a wave – it is not straight and logical.” (Living the Practice, p. 75). Ask yourself: Where was Divine Mother in the rhythm of my day? Go on a symbolic walk. What rhythms do you observe in yourself and the world around you?